AmmoMule "Keep your ammo cold...and your bacon hot" Official Cooler of Monday Night Combat. 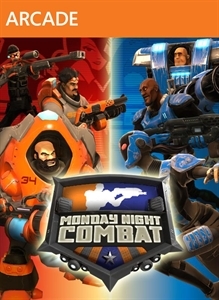 Monday Night Combat's AmmoMule video showcases a battle between Gunner and Support and one of thirty fictitious sponsored upgrades that players can buy for each of the six character classes in Monday Night Combat. The AmmoMule upgrade increases clip size for any weapon and character class.